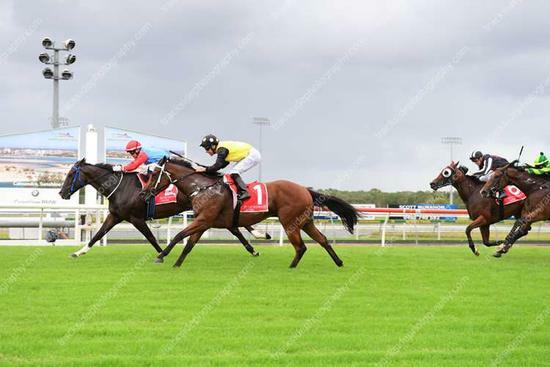 Pork and Beans showed his class on Sunday with an impressive win at the Sunshine Coast. The Pendragon gelding was having his second start this preparation after a lengthy layoff and demonstrated the ability he displayed on debut back in November of 2017. After leaving the barriers he made his way to the lead and was unchallenged until the race favourite Bachelor's Art made his move at the top of the straight. Pork and Beans was headed briefly before he fought back under the urgings of Mark Du Plessis to take victory. The five year old has an interesting pedigree being by Pendragon a son of Elnadim who stood briefly at Westbury Stud in New Zealand. Pendragon raced in the famous colours of Dato Chin Nam and won both the Gr.3 Gloaming Stakes 1800m and Gr.3 Norman Robinson 2000m as a three year old. In contrast his dam Stars in Her Eyes was a winner of five races all between 1000-1200 metres.